Q. 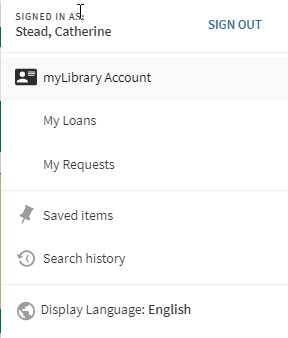 How do I access myLibrary Account? Click on your name on the top bar in StarPlus. You will then see a drop down menu. Click on myLibrary Account. Use myLibrary Account to manage your Library Account, including renewing loans, cancelling requests and viewing your Favourites.